Tomorrow we drive to Cornwall for a couple of weeks, can't wait to see and smell the sea again. Hope the weather stays dry and sunny! 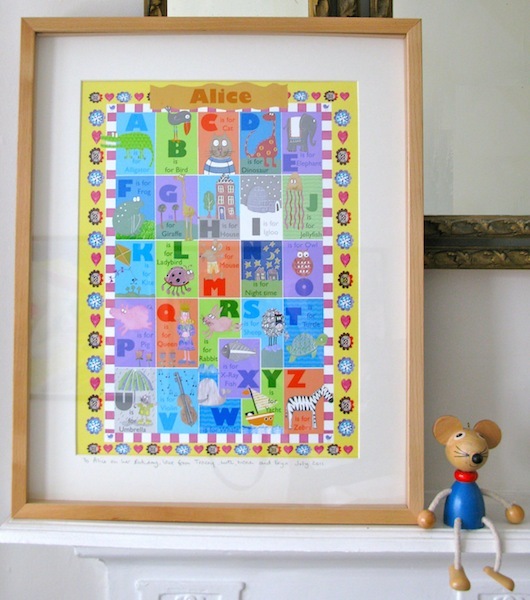 Our neighbours little girl turned four so I decided to give her one of my ABC pictures to hang on her bedroom wall.